Recent research in the medical journal Spine suggests that patients who have a case review by a team of spinal pain specialists will likely not get a spinal fusion surgery. In the study the researchers representing Virginia Mason Medical Center, Massachusetts General Hospital, and the University of Washington implemented a multidisciplinary conference involving physiatrists, anesthesiologists, pain specialists, neurosurgeons, orthopaedic spine surgeons, physical therapists, and nursing staff. Over ten months, they examined patients being considered for spinal fusion or who had a complex history of prior spinal surgery. They discussed the patients’ cases and when they decided on surgery and the type of surgery they chose to see if these were good recommendation. In other research doctors examined Pseudarthrosis (the non-union or non-healing of bones) following fusion for degenerative lumbar spine pathologies. 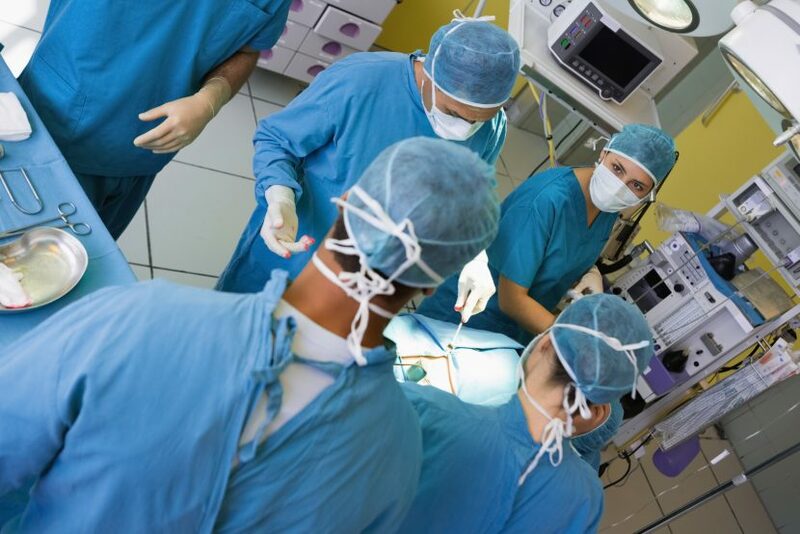 To a doctor who sees many failed back surgery patients, it is not surprising that the researchers said pseudarthrosis remains a substantial problem. Current data shows that patients who develop a pseudarthrosis have suboptimal outcomes. (Some would call suboptimal, failure, or catastrophic failure of the spinal fusion). It is unclear if a decade of clinic trials saying spinal fusion is no better than conservative treatments and one New York Times article will change anything, spinal fusion surgery will still be done. Why? Because the MRI will always show clear evidence of the need for medical intervention. Not only has it been shown that spinal fusion surgery is an appropriate treatment for many patients, but that it is doing more damage than the original degeneration that sent the patient to the doctor in the first place. This should be evidence enough. Not only are fusion surgeries inappropriate for many, not only do they cause more distress in some patients, but they get more than half the patients taking painkillers long-term. Worse the painkillers made they further predisposed to MORE SURGERY! In new research doctors looked at Worker’s Compensation patients who were given Lumbar Fusion Surgery for Degenerative Disc Disease. What they wanted to measure was how much painkiller medication they were on, if any, and what was the effect. One thousand and two patients participated who had lumbar fusion from 1993-2013. In other research, doctors explored how quickly disc degeneration occurs following a disc herniation and subsequent surgical treatment and whether certain spinal procedures increase the rate of degeneration. Although surgical cause of disc degeneration remained unclear. Using radiographic scans, they investigated patients who had discectomy, discography, and conservative care who had a first-time diagnosed herniated nucleus pulpous (HNP) and to ascertain whether this risk in these defined groups changes over time. The risk of subsequent lumbar disc degeneration following standard discectomy was significantly greater compared with both microdiscectomy (48.7% vs 9.1%) and control patients who displayed no symptoms (90% vs 68%) in two studies. Following conservative care for first-time herniated nucleus pulpous (HNP) in the third study, the risk of progression of lumbar disc degeneration was 47.6% over the first 2 years of follow-up and 95.2% over the next 6 years of follow-up. In the same study, the risk of lumbar disc degeneration was shown to increase incrementally over the course of the 8-year follow-up, with all patients showing signs of degeneration at final examination. Standard discectomy in first-time lumbar HNP may increase the risk of subsequent same-level lumbar disc degeneration compared with microdiscectomy as seen in one low-quality study. Degenerative disc disease after surgery? So what is one to make of this? The results of the research could not be proved or disproved because degenerative disc disease continued regardless of the procedure and skewed the results. A more obvious conclusion is in the long-term, the surgical procedures did not halt the progression degenerative disc disease. 1 Yanamadala V, Kim Y, Buchlak QD, Wright AK, Babington J, Friedman A, Mecklenburg RS, Farrokhi F, Leveque JC, Sethi RK. Multidisciplinary Evaluation Leads to the Decreased Utilization of Lumbar Spine Fusion: An Observational Cohort Pilot Study. Spine (Phila Pa 1976). 2017 Jan 6. 2 Owens R 2nd, Djurasovic M, Crawford CH 3rd, Glassman SD, Dimar JR 2nd, Carreon LY. Impact of Surgical Approach on Clinical Outcomes in the Treatment of Lumbar Pseudarthrosis. Global Spine J. 2016 Dec;6(8):786-791. Epub 2016 Apr 6. 3. Soh J, Lee JC, Shin BJ. Analysis of risk factors for adjacent segment degeneration occurring more than 5 years after fusion with pedicle screw fixation for degenerative lumbar spine. Asian Spine J. 2013 Dec;7(4):273-81. doi: 10.4184/asj.2013.7.4.273. Epub 2013 Nov 28. 4. Cho TK, Lim JH, Kim SH, Rhee WT, Kim WJ, Ha SI, Jang IT. Preoperative Predictable Factors for the Occurrence of Adjacent Segment Degeneration Requiring Second Operation after Spinal Fusion at Isolated L4-L5 Level. J Neurol Surg A Cent Eur Neurosurg. 2013 Dec 9. 5. Anderson JT, Haas AR, Percy R, Woods ST, Ahn UM, Ahn NU. Chronic Opioid Therapy after Lumbar Fusion Surgery for Degenerative Disc Disease in a Workers’ Compensation Setting. Spine (Phila Pa 1976). 2015 Jul 17. 6. Schroeder JE, Dettori JR, Brodt ED, Kaplan L. Disc degeneration after disc herniation: are we accelerating the process? Evid Based Spine Care J. 2012 Nov;3(4):33-40. doi: 10.1055/s-0032-1328141.